Ergonomic handle for a more natural, comfortable grip. 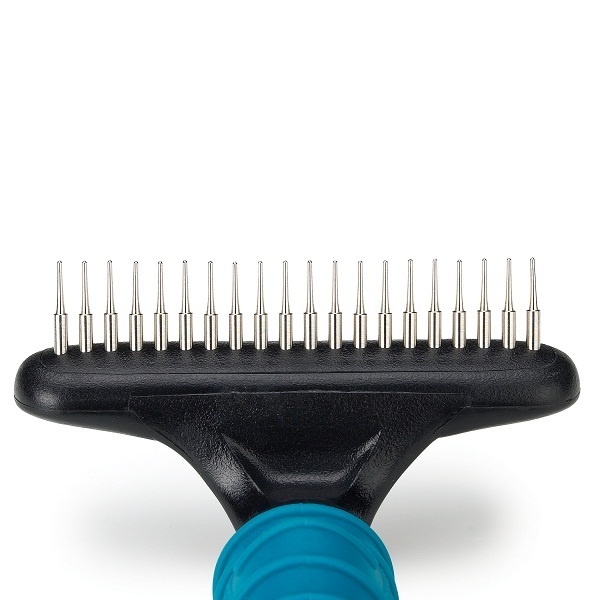 The rotating pins on this undercoat rake remove loose hair and move through tangles with ease. Features a single row of 3/4" chrome finish pins. 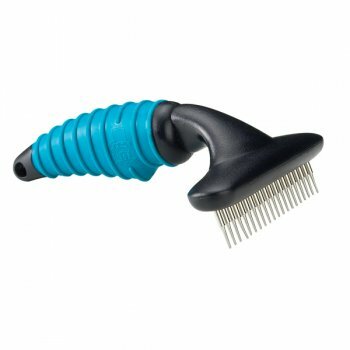 An ergonomic ribbed rubber handle allows greater control and provides a more natural, comfortable grip to prevent fatigue and repetitive motion injury.